Winchester Thurston School has named 26-year school veteran Heather Capezzuti as director of the school’s Pre-K through Grade 5 North Hills Campus, effective July 1, 2017. Capezzuti is currently a science teacher at the campus in Allison Park. As director, she will continue to focus on rigorous academics balanced with character development. 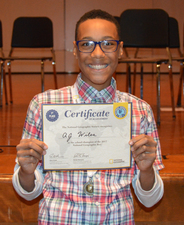 North Hills Middle School seventh-grader Anthony Wiles has qualified to compete in the state level of the National Geographic Bee in Harrisburg. He will face off against 102 students for the chance to represent Pennsylvania in the National Geographic Bee in Washington, D.C., in May. He is the first North Hills student to qualify for the state competition in more than a decade. La Roche College welcomes five new members to its board of trustees. They are Sister Michele Bisbey, CDP ’71, Ph.D.; Ernestine Harris ’03, M.S. ’10’; Deborah A. Holland; Sister Alice Marie Lyon, CDP; and Sister Ana Lydia Sonera Matos, CDP. At this year’s Japanese Speech Contest hosted by the Japan American Society of Pennsylvania, Shaler Area Senior Evan Lysko won first place in the Advanced Plus category. Sophomore Kylie Dougherty won first place and senior Alexis Finney won second place in the Intermediate category. More than 100 students participated in the event, which was held at the University of Pittsburgh. Genesis Medical Associates’ Korman & Kimmell Family Practice in Ross has named Angela Kort as its practice director. For the past two years, she was the office manager for UPMC’s Internal Medicine Practice in Cranberry, and also served as president of the nonprofit Helping Hands in Callery for the past 11 years. Kort is currently pursuing a master’s degree in healthcare administration. Four Fox Chapel Area High School students recently qualified to take the American Invitational Mathematics Examination (AIME). They are juniors Albert Liu and Ruopeng Wang, and freshmen J. Oliver Choo and Rajeev Godse. These students were among the top scorers in the nation. Every year, more than 350,000 students from all 50 states participate in this competition. Shaler Area High School sophomore Marissa Fukas (viola) and senior Sage Wilson (cello) both earned a seat in the PA Music Educators Association All-State Orchestra (PMEA), which will perform at the PMEA All-State Festival in April in Erie. Fifty-one young women from the tenth and eleventh grades at Fox Chapel Area High School were honored for their academic accomplishments in STEM fields (science, technology, engineering and mathematics) at the fourth biennial STEM Careers Achievement Night sponsored by the Fox Chapel Area Affiliate of the American Association of University Women (AAUW). 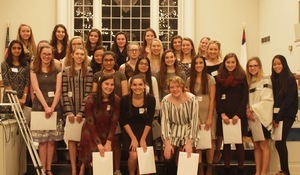 Receiving certificates of achievement as well as congratulations were (pictured): Anna Aupke, Abigail Baldauf, Kieran Bartels, Emilia Bianchini, Aubrey Brown, Nicole Garcia-Tunon, Mayzie Gouza, Claudia Guerrieri, Annie Hirsch, Kiran Hughes, Mia Hursh, Elizabeth Kaslewicz, Sarah Khanzada, Shania Khatri, Katie Livingston, Madeline Macek, Julie Mallinger, Kaitlyn Nichols, Helen Paulini, Sofia Porter-Bacon, Emily Rosen, Bridget Shelestak, Claudia Simon, Annika Urban, Bridget Wang, Margaret Woodwell, and Tanvi Yende. Also honored (not pictured) were: Emily Ben, Chynnah Bennett, Emilia Cano-Czagany, Anjali Chauhan, Sally Dean, Theresa Heidenreich, Alexis Holben, Courtney Kennedy, Julia Kisslinger, Margaret Lazzara, Elizabeth Mountz, Jessica Paper, Oliva Pistella, Rebekah Polcyn, Mia Schmidtetter, Kathryn Schwartzman, Sarah Seay, Sarena Smith, Elizabeth Uber, Gina Wang, Sofia Wedner, Ziya Xu, Kacie Zakin, and Georgina Zimmerman. 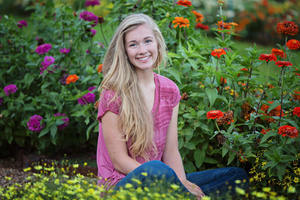 Seneca Valley Senior High School Student Council is continuing a tradition to empower women. The council recently held a Sadie Hawkins Dance that benefitted the Victim Outreach Intervention Center (VOICe) in Butler, PA, donating 100 percent of ticket sales totaling $3,150. VOICe is the sole provider of comprehensive domestic violence, sexual assault and other crime victim services for more than 180,000 people. Dorseyville Middle School eighth-grader Vivian Shao has been selected as a 2017 Carson Scholar and will receive a $1,000 college scholarship. Each year the fund awards scholarships to a select group of high-achieving students in grades four through 11 who demonstrate outstanding academic achievement and humanitarian qualities. The Pennsylvania Geriatrics Society–Western Division (PAGS-WD) recently presented Vincent Balestrino, MD, with its 2017 Lifetime Achievement Award. The award honors a physician who has made significant contributions to the education and training of learners in geriatrics education, with the utmost dedication, commitment and teaching excellence spanning their professional career. 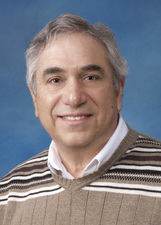 Dr. Balestrino currently serves as associate director of the Family Practice Residency program at UPMC St. Margaret Hospital. The Allegheny County Medical Society Foundation (ACMSF) recently presented Joseph E. Imbriglia, MD, FACS, with the 2016 Ralph C. Wilde Leadership Award. The award recognizes a physician who demonstrates exceptional skill in their clinical care of patients and dedication to the ideals of the medical profession as a teacher or profession leader. 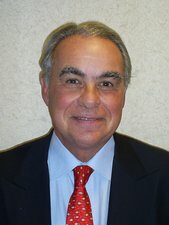 Dr. Imbriglia is chairman of the board of the Hand & UpperEx Center and its most senior staff member, and serves as chief of surgery at the Western Pennsylvania Surgery Center. Six Fox Chapel Area School District elementary school students were recently selected to perform at the first-ever Pennsylvania Music Educators Association (PMEA) District One Elementary String Festival. The students include Hartwood Elementary School fifth-graders Ada Chu, Peter Manelis and Gloria Wen, and O'Hara Elementary fifth-graders Lincoln Baldwin, Rachel Milcheck and Ranny Weng. Pine-Richland High School Senior Savannah Null is one of only 10 Nordenberg Scholars named in 2017. The University of Pittsburgh award includes full tuition, three years of paid internships and tuition for study abroad opportunities. Savannah will be majoring in applied developmental psychology with plans to earn a master's degree in elementary and special education at the University of Pittsburgh. Fox Chapel High School senior Yelim Lee received the President’s Volunteer Service Award given by The Prudential Spirit of Community Awards program on behalf of the President’s Council on Service and Civic Participation. Lee founded Project LOHIR (Pittsburgh Lending Our Hands to Immigrants and Refugees) which helps to educate immigrants and refugees to expand their networks and community resources. 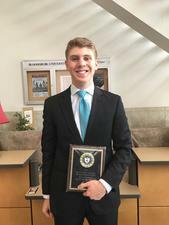 Shady Side Academy senior Nathan Genstein was recently named the Outstanding Speaker in House Congress, effectively the state champion in that event, at the Pennsylvania High School Speech League (PHSSL) State Tournament.